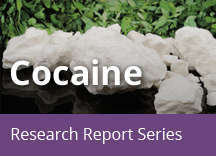 Home » Publications » Research Reports » Cocaine » What are the short-term effects of cocaine use? Cocaine’s effects appear almost immediately after a single dose and disappear within a few minutes to an hour. Small amounts of cocaine usually make the user feel euphoric, energetic, talkative, mentally alert, and hypersensitive to sight, sound, and touch. The drug can also temporarily decrease the need for food and sleep.14 Some users find that cocaine helps them perform simple physical and intellectual tasks more quickly, although others experience the opposite effect. Severe medical complications can occur with cocaine use. Some of the most frequent are cardiovascular effects, including disturbances in heart rhythm and heart attacks; neurological effects, including headaches, seizures, strokes, and coma; and gastrointestinal complications, including abdominal pain and nausea.7 In rare instances, sudden death can occur on the first use of cocaine or unexpectedly thereafter. Cocaine-related deaths are often a result of cardiac arrest or seizures2 (see "National Overdose Deaths: Number of Deaths from Cocaine"). Many cocaine users also use alcohol, and this combination can be particularly dangerous. The two substances react to produce cocaethylene, which may potentiate the toxic effects of cocaine and alcohol on the heart.17 The combination of cocaine and heroin is also very dangerous. 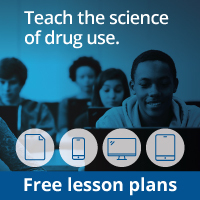 Users combine these drugs because the stimulating effects of cocaine are offset by the sedating effects of heroin; however, this can lead to taking a high dose of heroin without initially realizing it. Because cocaine's effects wear off sooner, this can lead to a heroin overdose, in which the user's respiration dangerously slows down or stops, possibly fatally.